Not good at Chemistry? No matter. 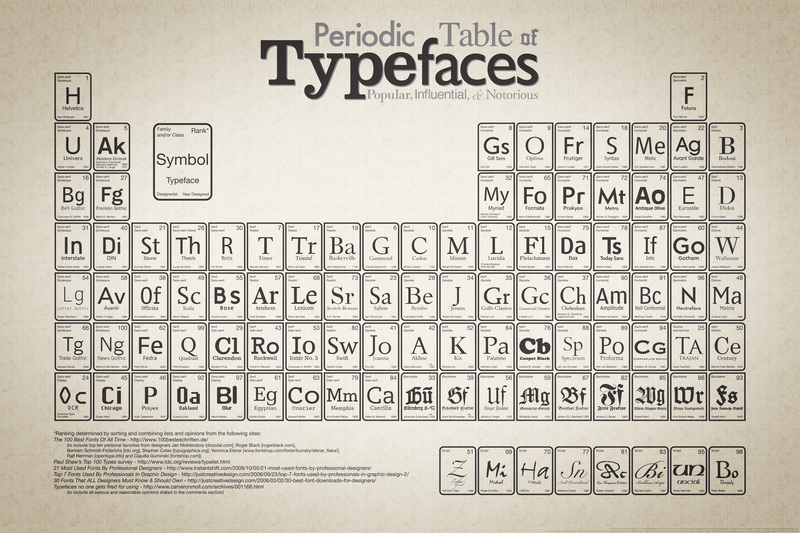 Try the Periodic Table of Typefaces instead . . .
For the enlightenend designer (not me) and connoisseur of all things font-related, check this out HERE. Design firm Squidspot put together the 3150×2100, 1.6MB JPG file. For those without a clue about fonts, or the typeface-inclined requiring an at-a-glance reference, this chart provides letter samples, family and class distinctions, and the designer and year of creation. Lifehacker highlighted this on their site–thanks for the tip!